Search engine is a program that searches the specific item in its own database, in order to present the results that match the query the user is interested in. Search engine database consists of the web pages that are indexed by that search engine. Internet users conduct a search by typing a certain word or phrase in the search engine. The goal of search engine marketing is to organize advertising activity through the use of search engines. Whether you are using paid marketing or search engine optimization, the idea is to affect the search engines in such a way so that they display your website at the top of the search results. Search engine marketing is a crucial part of internet marketing that deals with creating a successful strategy of improving the position of the website in the search engines. Search engines use their own algorithm to find the results that match the query inside their own database. Different criteria are being taken into account when determining the list of most relevant results, such as keywords, meta tags, influence, etc. The term search engine is often used to describe the programs such as Google, Bing or Yahoo!. These are also the most used search engines, with Google being the most used of them all. When users want to find something online, they usually use one of the search engines to do so. Since search engines use multiple metrics in their algorithms, which serve to determine the relevance of a website to the specific search query, search engine marketing has various different aspects to help search engines include your website in the SERP. In one of the following chapters we will address the process of indexing a website and explain how the search engines recognize your website and match it to a particular search query. There have been a lot of studies and surveys conducted in order to determine the search engine market share, and the exact figures vary in different reports. However, what they all have in common is the Google’s supremacy over any other search engine. According to the comScore results for August, 2014, approximately 64% of searches are conducted through Google search engine. Bing’s share in the total number of searches is approximately 21%, while Yahoo! searches represent 12% of the total number. Other search engines have a minor share in global searches, including Ask Network with approximately 1,6% of market share and AOL, Inc. with less than 1% of market share, based on the same report. Besides desktop searches, Google, Yahoo! and Bing also make up the mobile search market share. However, Google’s market share on mobile devices is over 90%, followed by Yahoo! with approximately 5% and Bing with approximately 6% of the market share. You should also have in mind the geographical distribution of market share, as the usage of search engines vary in different parts of the world. While Google takes up the largest part of search engine market share in the USA, Baidu takes up over 60% market share in China, where Google falls behind with less than 5%. The reason why you have to understand the percentage of the market share of each search engine is the fact that search engine marketing is based on the usage of certain search engines in the purpose of reaching users. Major search engines have their own help centers to provide additional information about its search engine algorithm and best practices you should use in order to help you increase the visibility of your website. Besides industry reports, what you need to consider is your own statistics that are available inside your Google Analytics account. 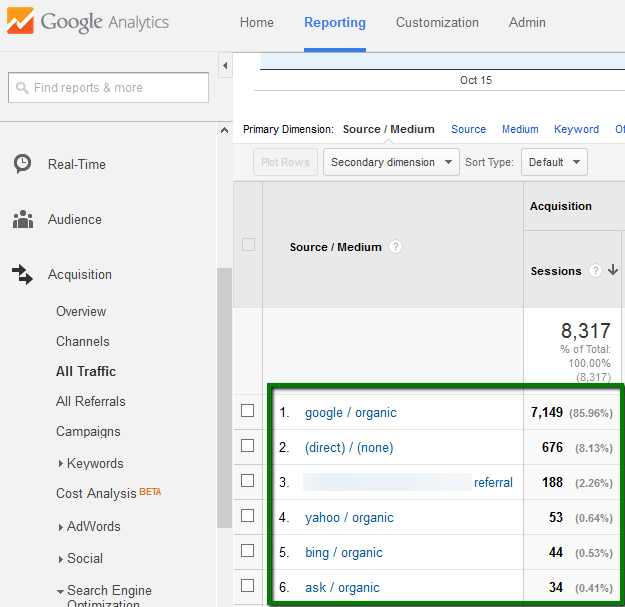 Here is how and where you can see the percentage of visits you get from each search engine. This ultimately means that you should focus your efforts on a certain search engine in particular, in terms of developing search engine optimization strategy or running a paid advertising campaign. Each search engine has its own program for advertising, which usually includes campaign manager through which the advertising is being set up. When you explore your options, and choose one of the search engines you want to use for advertising, you should visit the website and learn how to do so. You will usually be required to create an account, which will enable you to access the campaign manager for creating and publishing search engine ads. Google enables search engine advertising through Google AdWords platform. You will have to create a Google account first, and then visit the website to sign up for Google AdWords. 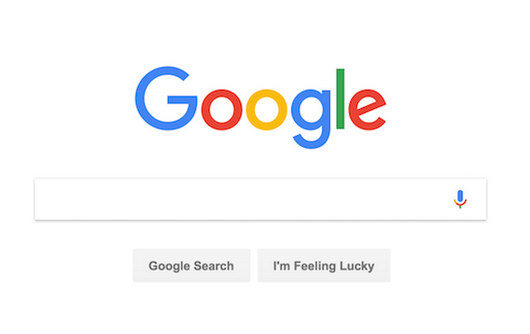 Since Google is the number one search engine, processing over 3.5 billion searches a day, it is natural that its advertising program is the most popular one when it comes to search engine advertising. Since 2009, all of the Yahoo! searches are conducted through Microsoft’s search engine Bing. The advertising opportunity now enables marketers to take advantage of both of these platforms for organizing a search engine marketing campaign. Bing / Yahoo! network now provides joint advertising option. With up to 30% of searches being conducted through these two search engines, depending on the region, Bing Ads represents an important source for search engine advertising.